It is a new, complete and perfect system for doing the "Question Answering Act," requiring two persons whom we shall call the performer and the medium. Once acquired, you are ready to present the act on a moment's notice, at any time or place, stage, hall, platform, club, residence, or on the open prairie - all you need is an audience who have questions they wish answered. 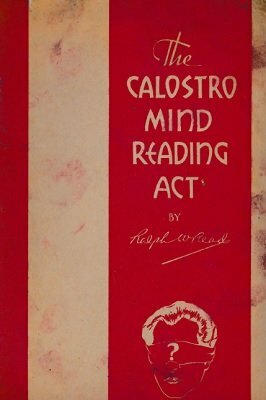 What Is The Calostro Mind Reading Act? "Key List" Of Numbers And Corresponding "Key Words"
Two Code Words Used For All Basic Questions From (00) To (99). Questions Having "Blanks" Or "Fill-Ins"
1st edition 1934, 31 pages; PDF 36 pages.